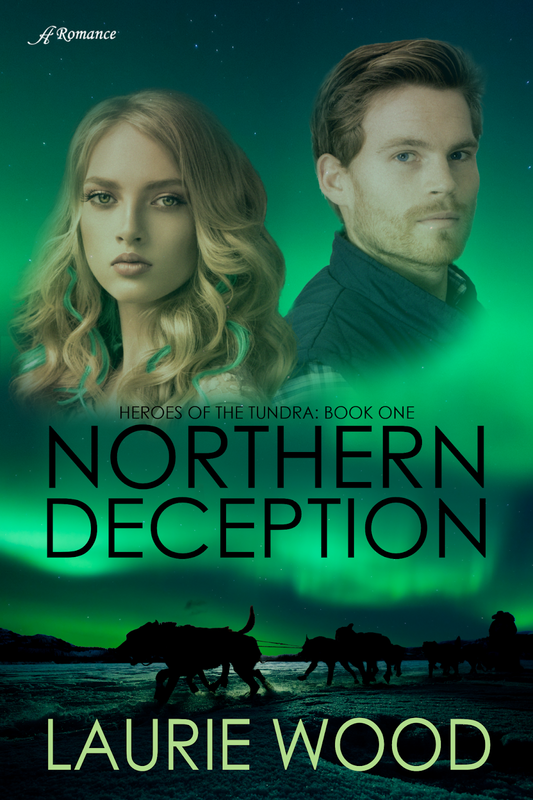 "The thrilling ride that is Northern Deception captures readers from the first word and keeps them riveted throughout the remainder of the story. Non-stop action, stunning twists and chilling suspense (quite literally) combine seamlessly with a sweet second-chance romance and poignant reflections on faith. 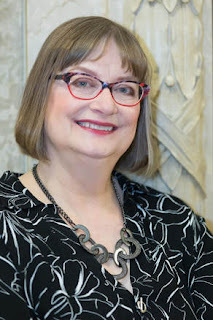 Wood has skillfully created layered characters and a vivid setting, and I look forward to more books from her in the near future!" "I absolutely love this intense and truly romantic story. The story line is fantastic. Once I started to read I couldn't put it down. . . . I highly recommend this book!" A van screeched up beside her driver’s door, sliding sideways onto the grass as it came to a stop. She glimpsed a male driver with sunglasses and a ball cap just before her door was thrown open by another man. The man wore a navy blue ski mask. He grabbed her by the shoulders and hauled her halfway out of the car. Muscle memory allowed her to shove her right palm hard against his nose. It gave a satisfying crunch even as he pulled her from the safety of the driver’s seat. He clasped her arms like a vise, but she kicked hard and felt the solid heels of her boots connecting with his shins. "I enjoyed the fact that the readers were brought immediately into the action, and it is great that realism is seen from page one and following. Sometimes these romance stories have little real conflict and they follow the same, exact formula. The author departed from the formula and added her own special touches thus making this book truly her own." AUTHOR: Hello, Ruby thanks for taking the time to speak to us today. I guess you know plenty about Churchill, Manitoba, and Kira Summers and Lukas Tanner. 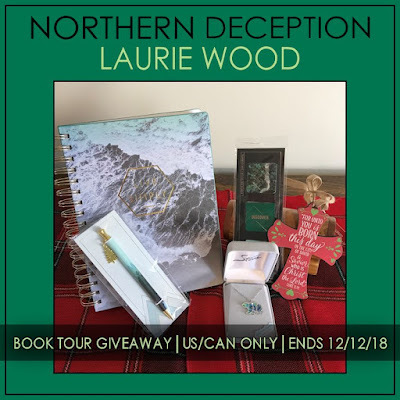 "Debut author Laurie Wood transports readers to the barren and dangerous Canadian tundra while delivering a story that doesn’t let up from the first page to the final one. . . . Great character development, intense action, and the unique setting make Northern Deception a debut you don’t want to miss." "Ahhh … this was a great book. Mystery! Suspense! Dogsleds! Canadian spelling! LOL. . . . a fast-paced read that I’d happily revisit. I especially enjoyed the medical components, working in that industry myself, as well as the Canadian setting." 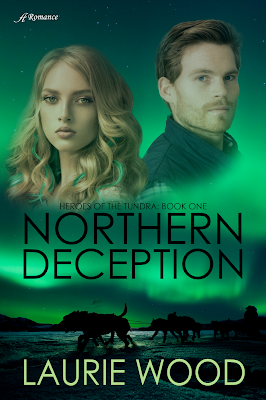 "I loved Northern Deception! . . . The characters in this book are ones you’ll fall in love with….Kira, Lukas, Ruby, Sophie….even the minor characters are great…well not the bad guys. But, you probably won’t be able to figure out who the bad guys are…at least not all of them…until close to the end. . . . You won’t want to put it down once you start! I give this five big stars!" NORTHERN DECEPTION is my first published novel but I’ve written three others which will never “see the light of day”, as the cliché goes. The recurring theme of what I write is loss and forgiveness and every novel has dealt with it in various ways. NORTHERN DECEPTION is no different. "There is quite a bit of action going on here, several twists to the story that will have you wondering what is going on and the question of whodunnit! And you might just be surprised just who is behind all of the suspense! This debut novel is sure worth your read. Pick up this new thriller from new author Laurie Wood and have a seat for a few hours of thrills and chills!"